The Bronson Clinic is located in Fort Worth on the west side of town across from Country Day School near Hulen Mall and Cityview . We are in the 2-story professional building at 5521 Bellaire Drive South, just off Bryant Irvin Road. We have been in the same location since 1986. Our mission at the Bronson Clinic is to provide affordable, high-quality healthcare to people of all ages, and to help optimize performance in competitive athletes. At your first visit to Bronson Chiropractic Clinic, Dr. Mark Bronson will explain the science behind how chiropractic care works, and give you a full evaluation to see if chiropractic care is right for you. If there is a good fit, we can develop a plan of chiropractic care that is specific to your condition and health goals. 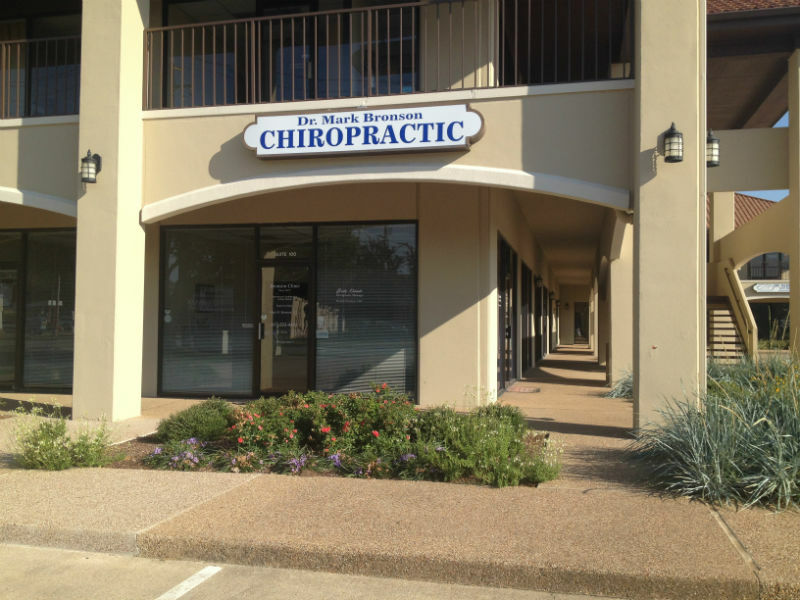 If you are new to seeing a chiropractor and want to find out more, please email us or call 817-732-4441 to receive personalized answers to your questions from our friendly team. We also welcome referrals, so feel free to use the "Send to a Friend" link located at the bottom of every page to share our health information with your friends and loved ones. As of August 11th, 2016 Dr. Bronson has been appointed President of the Texas Board of Chiropractic Examiners. Click here to read more. We are now offering DOT Physicals! No wait time just call our office for details.